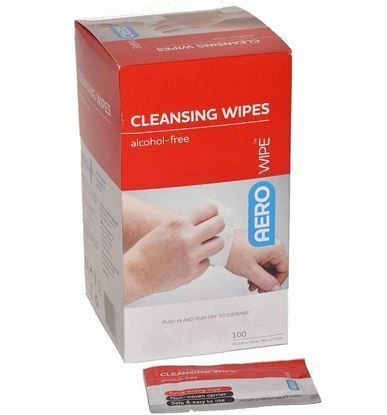 Box of 100 alcohol-free disposable cleansing towelette wipes (approximately 10.5 x 19cm), containing 1% W/V Cetrimide BP and 0.02% Chlorhexidine BP W/V. Useful for minor wound cleansing or for cleaning body areas when water is not available. Obtain medical advice for all serious wounds or if unsure.